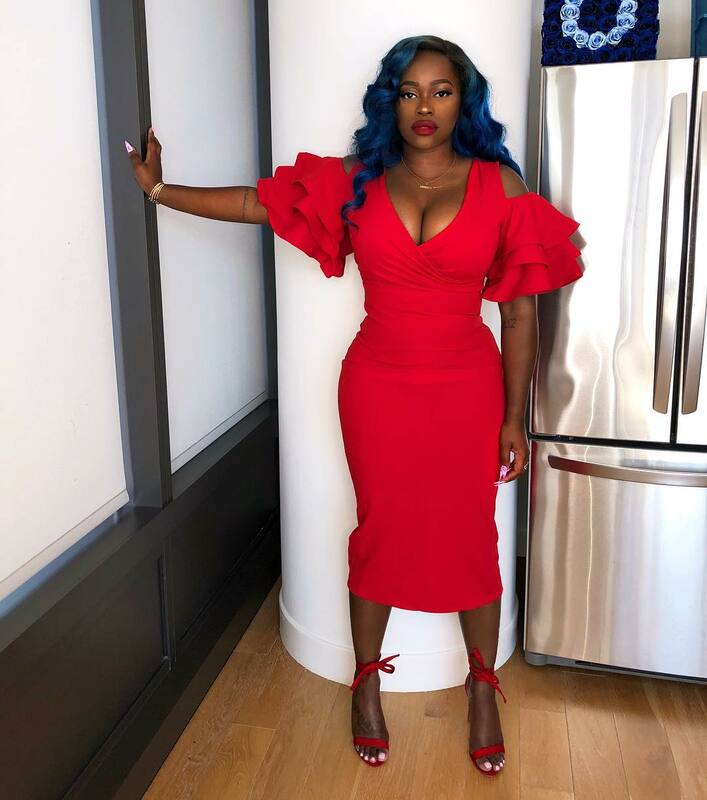 Just a quick glance will convince you that Olori Swank is not your average boss chick. 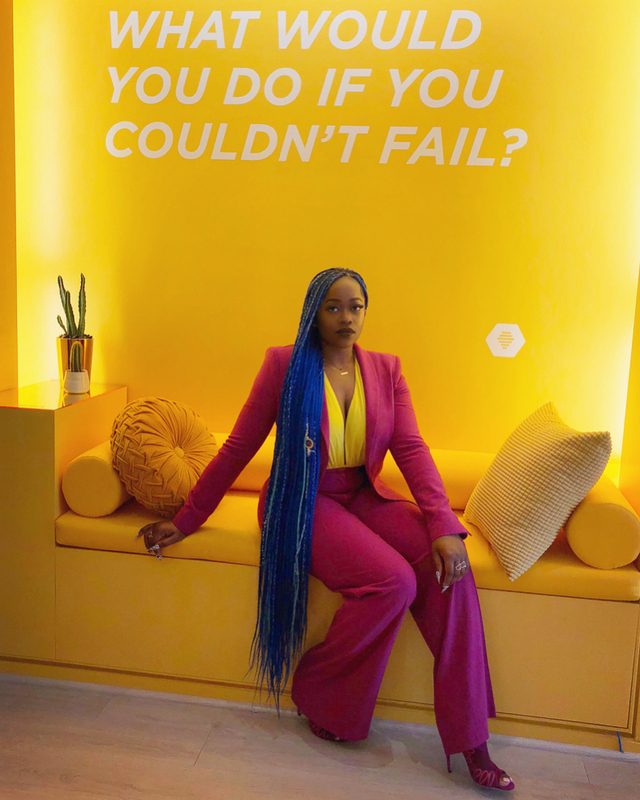 This vivacious stylist, author and entrepreneur, is a blue-haired Nigerian-American who works really hard, lives life on her own terms and leverages on every opportunity that comes her way. 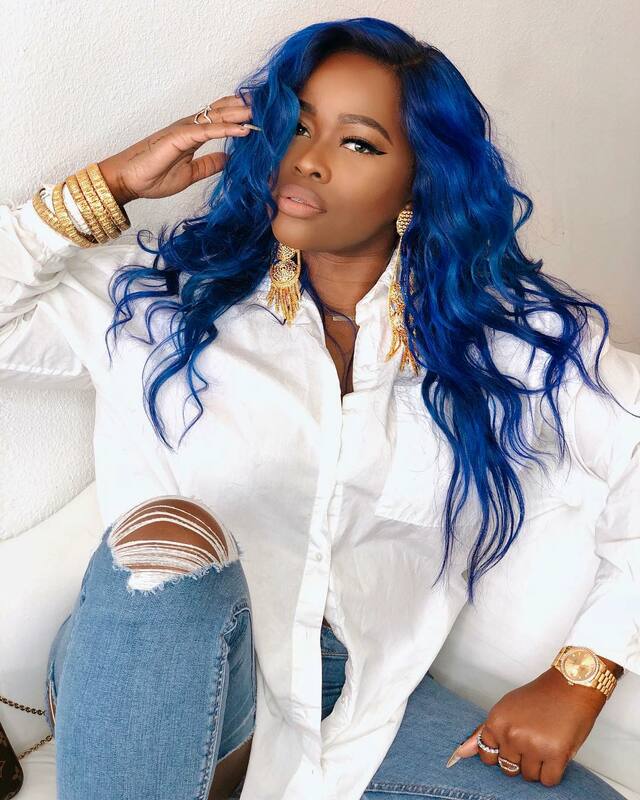 After graduating from the University Of Georgia with a Bachelor’s degree in Psychology, Olori had her sight on attending medical school but that all changed when she met the VP of Artists and Repertoire at Jive records. This meeting came with an offer as the exec wanted her to style one of his artists. This chance meeting would eventually morph into a whole new career, one Olori is still reaping from. Olori Swank has reached heights that others still dream about. 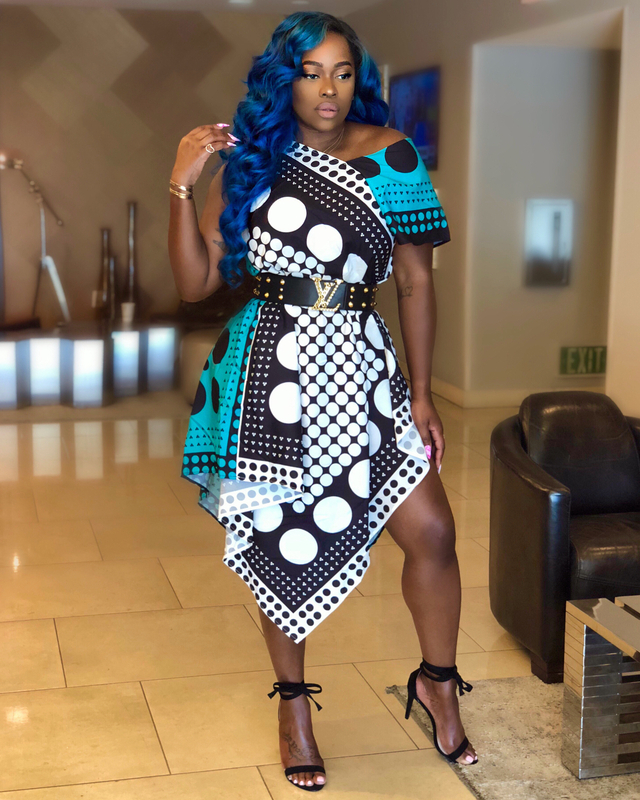 Currently based in Los Angeles, California, the celebrity stylist is known for the energetic ways in which she elevates her clients’ style. 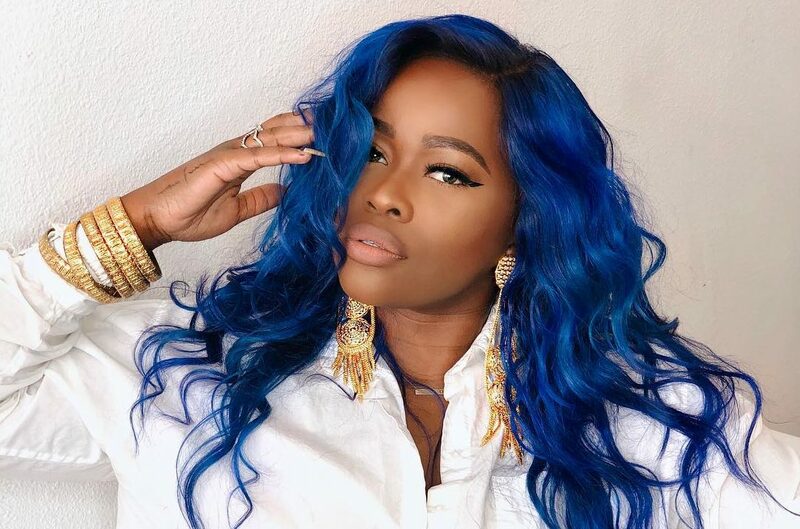 The impact of her style is so visible because she’s not afraid to play around with colours and accessories that many might push to the back burner. For example, she once styled Swae Lee of Rae Sremmurd for his performance in the Jimmy Kimmel show in a pink Gucci whimsical top hat. 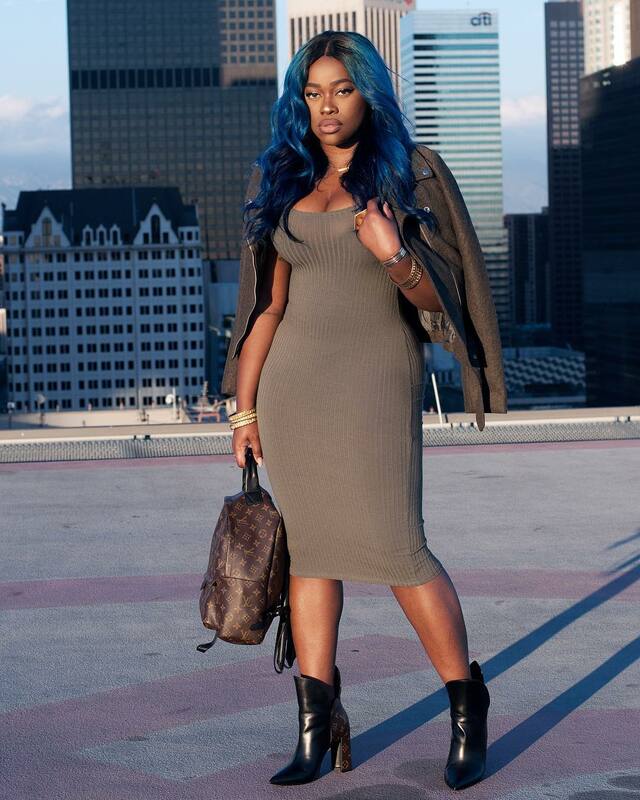 The style expert herself is not one to sit around looking like a sack of potato, and even with her signature blue hair, she knows what to wear and how to look good every time without looking like a bag of skittles. The strong believer of “dress the way you want to be addressed” takes her looks very seriously because like she once said, it is important for people to be taken seriously in any field. 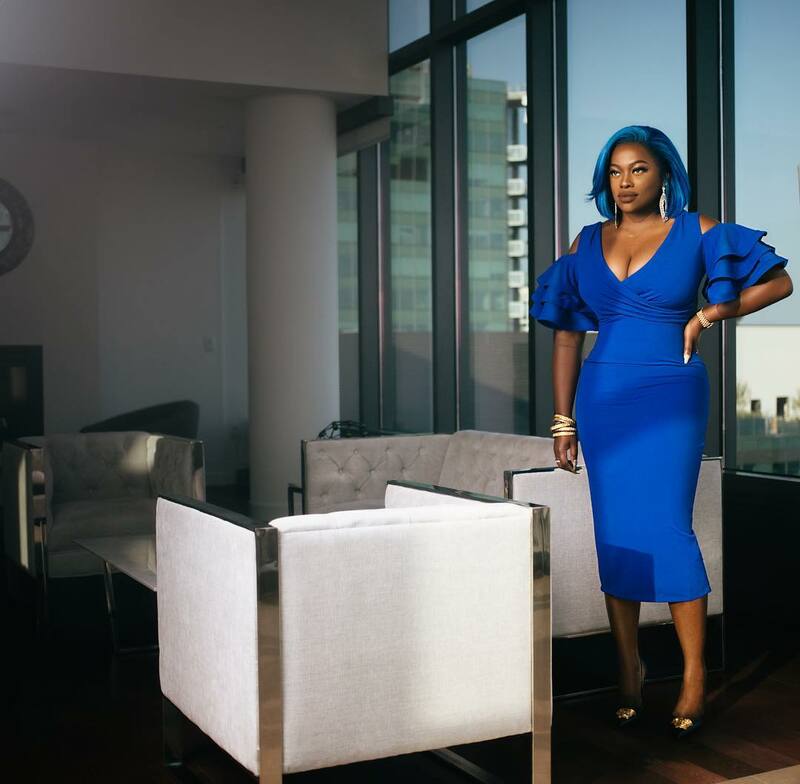 Olori Swank who also owns her own clothing line, Swank Blue, is busy building the future she dreams of and doing it all with the grace that comes with being a creative who’s not afraid to push the limits.